The Highlander Marching Band visits Scotland every four years, giving each student a chance to make this memorable trip. 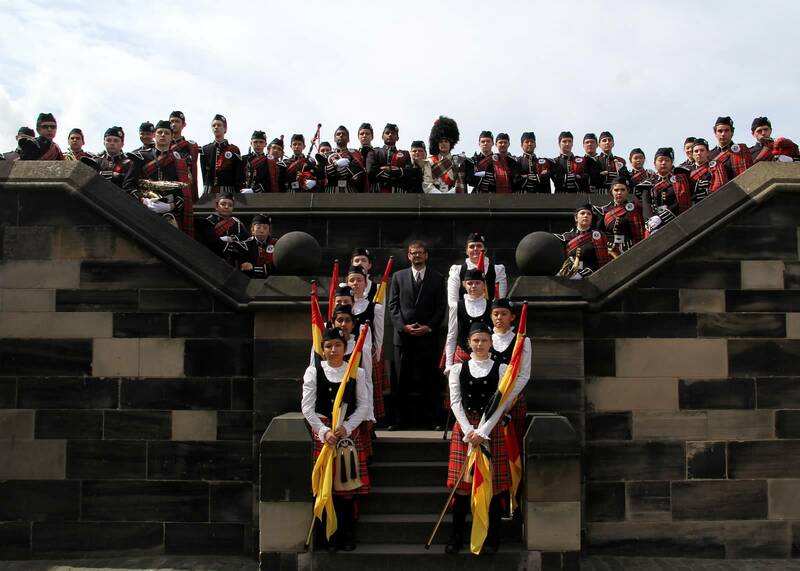 On its most recent trip in 2014, the band performed at Stirling and Edinburgh castles, enjoyed the Edinburgh Military Tattoo, and visited many local sites. A favorite part of the trip is the visit to Ancrum, the ancestral home of Governor William Livingston for whom the high school is named. Watching band members interact with the townspeople and share their instruments with the children was an unforgettable moment.